Native bush gullies and pockets. From July 1, 2017 DOC has changed their concession charges. They are now $20 per person, per landing. These fees are now in addition to the flight costs. 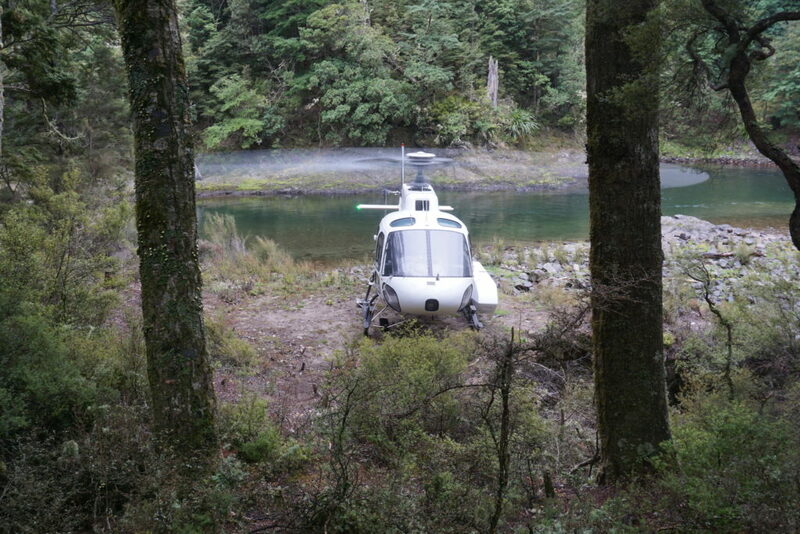 We are only permitted to land at huts or designated landing sites. We can provide Hut Tickets and Fishing Licenses. Have your hut tickets and hunting/dog permits ready to show your pilot. We are not permitted to fly in chainsaws. Dogs must have “Avian Training Certificate” before we can fly them into the Kaweka Forest Park. Everything that goes in must come out. Huts must be left tidy, with dry firewood and free from all rubbish, including ALL food. Prices are per load and include: GST and return flight.